Our story is about women finding hope, dignity and respect because of one woman’s tragic battle with cancer in 1987, Billie Marie Dortch. As a legacy of love to our mother, my sister and I, made it our mission to create a place where women could have their special needs met, with respect and sensitivity…and even a hug or two in one beautiful place to shop. Women's Health Boutique. Our vision started in 1988 with a small corner devoted to cancer recovery products in the medical equipment store we inherited from our mother. In time, we envisioned an elegant, warm and inviting boutique filled with products that would restore a woman’s dignity and meet her special needs. Little did we know in 1992, when the flagship store of Women's Health Boutique opened in Longview, Texas that it would eventually be a nationwide system of boutiques meeting women’s needs from coast to coast. Our search to find needed products, helping manufacturers improve existing products and develop new products, and finding available resources that women needed, fueled our passion to expand beyond the East Texas area. We opened our first franchise in 1994, and soon began meeting women’s needs across the country. As a child, Crystal would play in my boutique while I worked long hours building the franchise. She often traveled with me to speaking engagements and franchise visits. Who knew then that her future would be Women's Health Boutique! 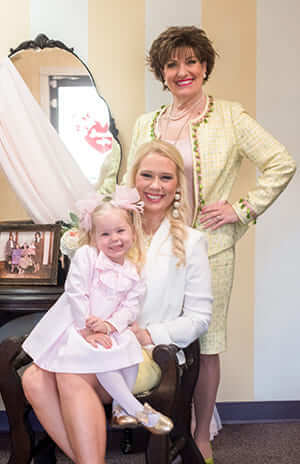 Franchising with three small children took its toll, and in 1998 I made the tough decision to sell the franchise system and concentrate on being a mother and owner of the flagship Women's Health Boutique in Longview. Then, due to the intricacy and challenges of healthcare, accreditation, reimbursement, and managed care, in 2006 they decided to stop franchising and each boutique became independent owners. Women’s Health Boutiques had opened in Alabama, California, Connecticut, Florida, Georgia, Indiana, Maryland, Michigan, New Jersey, Oklahoma, Pennsylvania, Tennessee, and of course Texas. Many of these boutiques are still operating today, some as Women’s Health Boutiques and others as independent boutiques. Our mother’s legacy grew even stronger in 2009 when Crystal graduated from TCU and chose to make Women's Health Boutique her career. She encouraged me to open a boutique in Dallas with her at the helm of marketing. We did, and the rest is history in the making. 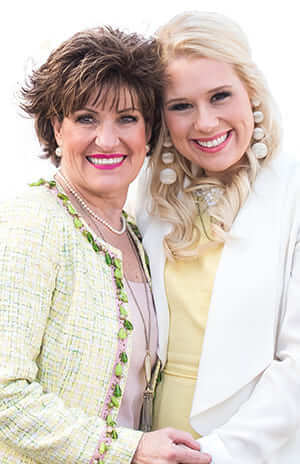 In 2012 our mother/daughter duo also opened boutiques in the Oak Cliff area of South Dallas and in Plano. We then opened a boutique in the Presbyterian Dallas Cancer Center in 2015. And yes, we do have plans for future growth. It brings back precious memories to see how Hattie, age 3, loves going “to work” with Crystal on Saturday’s. I’m sure Hattie will follow in her mother’s footsteps one day, too. Crystal is now Regional Manager of the four Dallas area boutiques and continues to bring passion and energy to Women's Health Boutique. She also has a true passion for lymphedema management, so not only do we have the privilege of meeting lymphedema and compression needs of women, but also of men and children. Our name remains Women's Health Boutique because we are women meeting the special needs of women. But, we are also women meeting the compression and lymphedema needs of men, women, and children. We may be best known for our mastectomy and lymphedema products but whether you are looking for that perfect fashion bra fit, a cute and sassy wig, or are a mother-to-be needing a maternity belt or breast pump, we are here for you. From expecting mothers to breast cancer survivors to women with hair loss, to anyone with edema or lymphedema, our professional fitters and staff will take the time to learn what you need and meet your needs with passion and heart. Our mission remains: To help meet your special health care needs by making a positive difference in the way you look and feel about yourself.